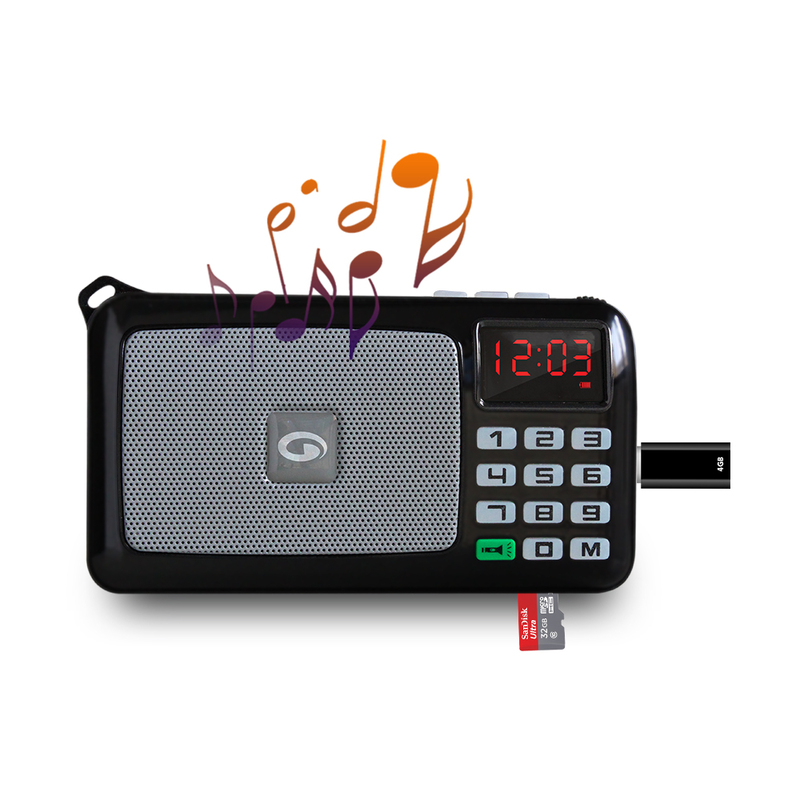 WIDE CHOICE OF OPTIONS: Amkette Pocket FM Portable Multimedia Speaker offers you a wide range of music playback option that includes inbuilt MP3 Player via USB Drive or Micro SD Card. You can also connect this speaker to Laptop/PC having Windows XP, 7, 8, 8.1 & 10 or even Macbooks using the provided USB cable to play music directly on the speaker. HIGH QUALITY FM: Amkette Pocket FM Portable Multimedia Speaker comes with a high diversity external FM antenna to offer you a good reception. So stop adjusting the antenna, and start enjoying the broadcast. POWERFUL EMERGENCY FLASHLIGHT: The speaker comes with a dedicated button that turns on a powerful emergency flashlight that helps you to illuminate the darkness. BACKLIGHT BUTTONS are also included for all day / all night convenience. LONGER BATTERY LIFE: We want your entertainment to last long; therefore Amkette Portable Pocket Multimedia Speaker is packed with an 1800mAh Li-Ion Battery (twice more than similar products) to offer you 12 Hours of non-stop Music & 8 Hours of backup for emergency flashlight. The battery is both Rechargeable as well as Replaceable so you have nothing to worry about.. The Amkette Pocket FM Multimedia speaker is a fully featured and ultra compact speaker. Equipped with USB/SD Card MP3 player and a powerful FM Radio with external antenna, so you can listen to anything, anytime. Powered by an industry leading battery life of 12 hours, you will be rocking till the morning. Clock and Torch functions add practical and important features to a pocket friendly design. All in One Multimedia Speaker: Insert a USB drive or SD card into the Pocket Multimedia speaker and play music anytime, anywhere. You can even plug in the speaker to your laptop/pc with the included USB cable and use it as an USB speaker. 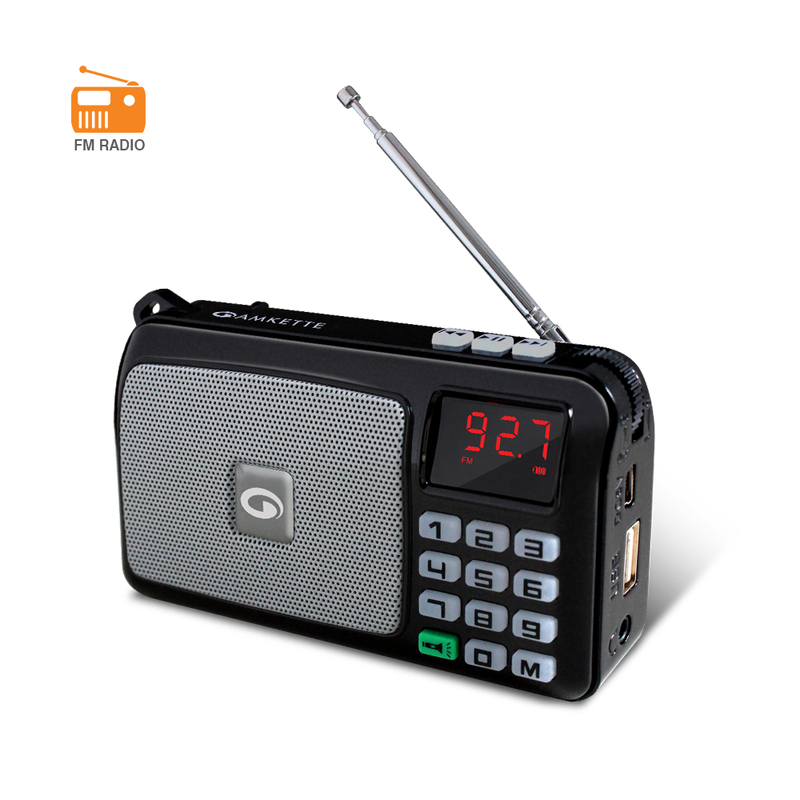 High Quality FM Radio: The Pocket FM multimedia speaker has an external antenna to catch radio waves and broadcast high quality FM channels. You can also type in the channel number directly without getting into the hassle to search the channels. The 1800mAh battery will keep your party going on till the morning. 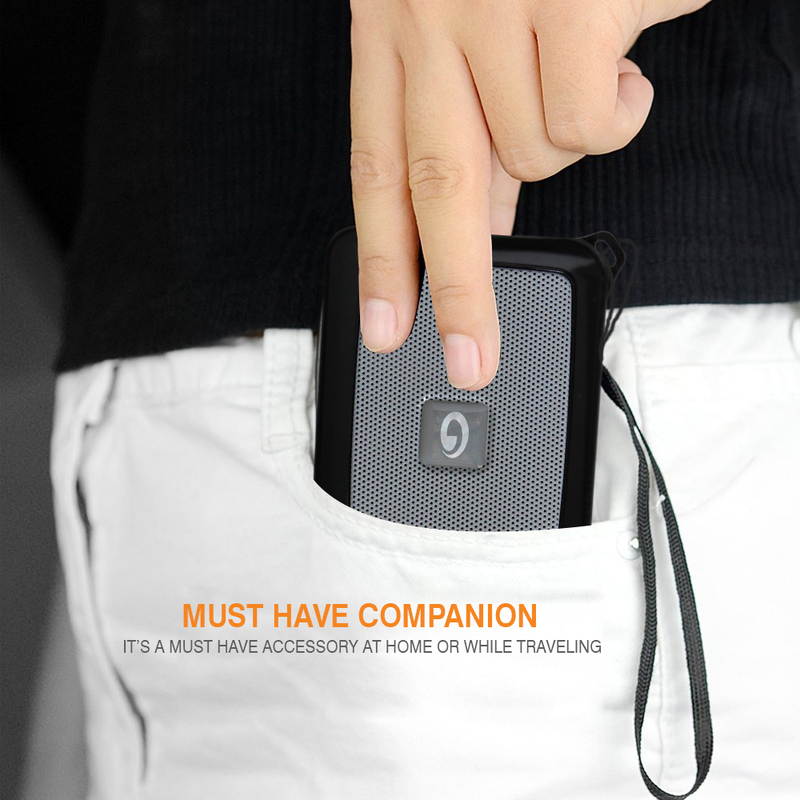 It’s a Must Have Companion at home or while traveling, due to the powerful LED Torch and Backlight buttons onboard. 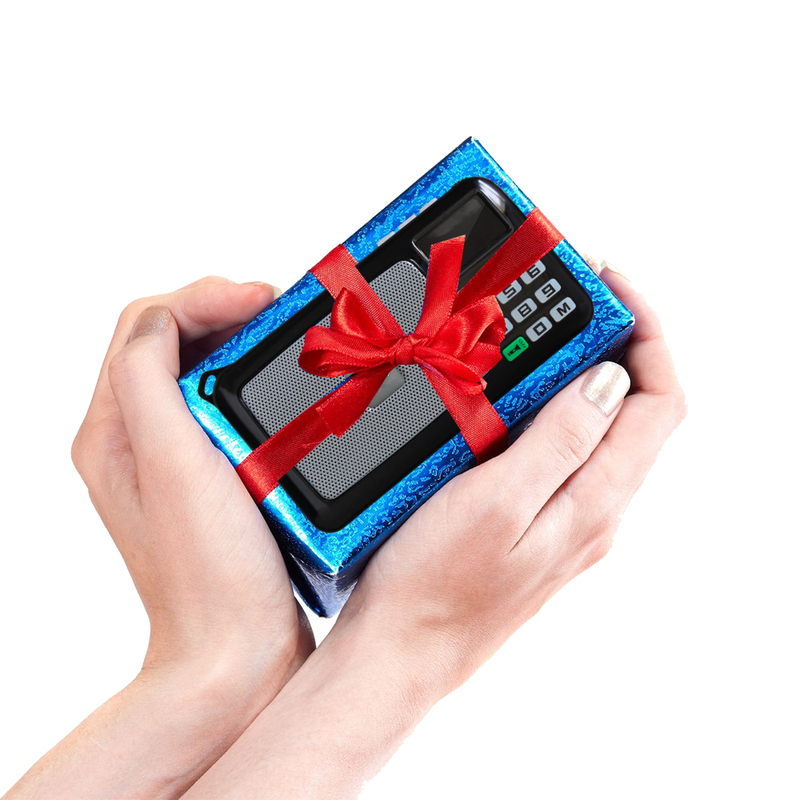 Packed with multi feature goodness, it is an ideal gift for friends, parents and other dear ones. Insert a USB drive or SD card into the Pocket Multimedia speaker and play music anytime, anywhere. Even you can plug in the speaker in your laptop/pc to use it as a USB speaker. 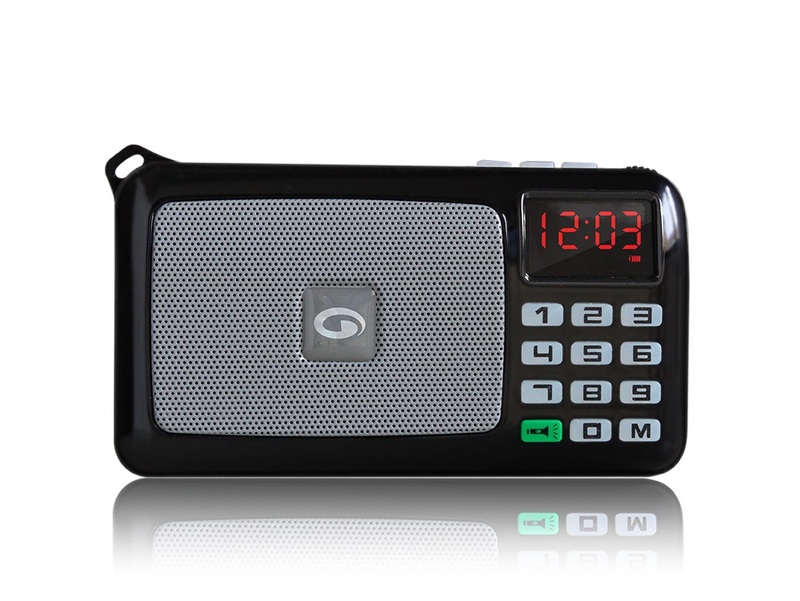 The Pocket FM multimedia speaker has an external antenna to catch radio waves and broadcast high quality FM channels. You can also type in the channel number directly without getting into the hassle to search the channels. 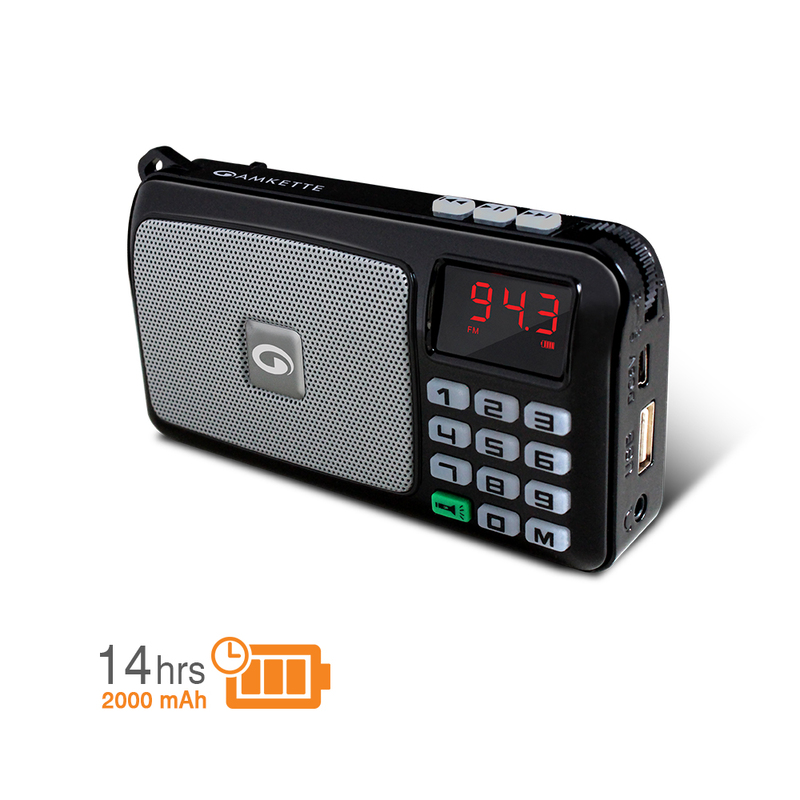 Pocket FM Multimedia Speaker is powered by an industry leading 14 hours playback time. The 1800 mAh battery will keep your party going on till the morning. With the Digital clock, LED Torch and Backlit buttons onboard, the FM Multimedia speaker provides all the reasons to buy one. It’s a must have accessory at home or while traveling. Packed with great features like powerful FM, Back Lit Buttons, USB/SD Card music playback and a powerful Torch (and more), the Pocket FM Multimedia Speaker is an ideal gift for friends, parents and other dear ones. 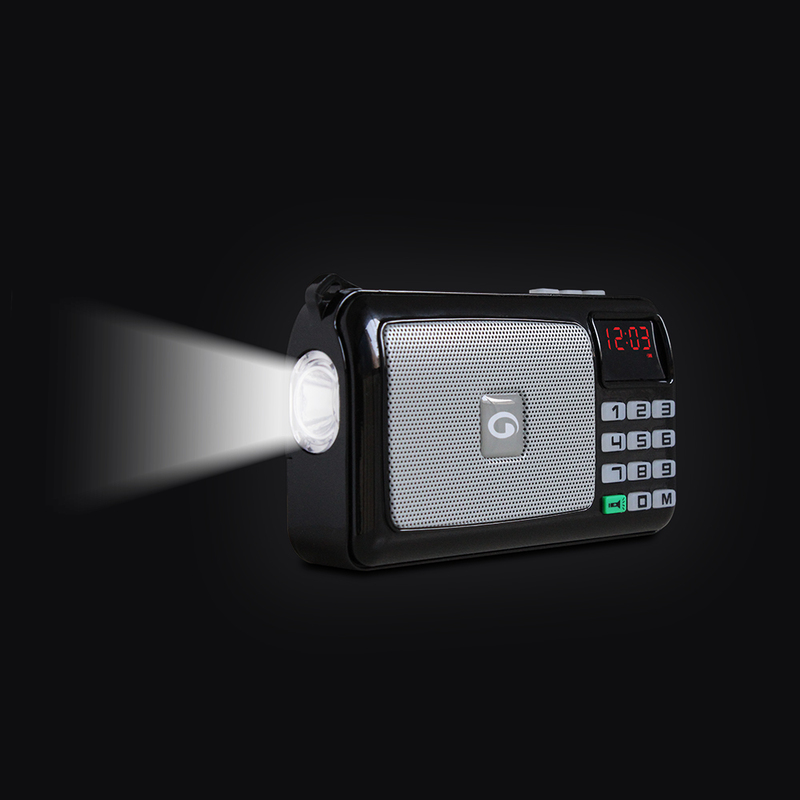 The Pocket FM comes standard with a powerful torch / flashlight that can last for more than 8 hours!